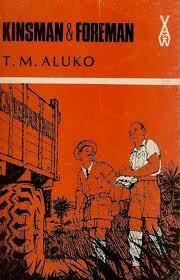 In the first of my 52 Years of Nigerian Literature series, I look at Nigeria’s first generation of writers (1960s to possibly early 70s?). 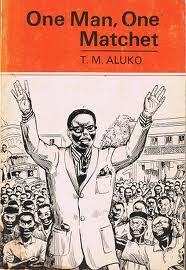 The generation that sought to counteract colonial discourses that misrepresented Nigerians (and Africans) as "primitive", a time where themes of culture, rural vs urban, tradition vs modernity (the influence of colonialism and Western norms on traditional Nigerian society), and the end of colonialism were rife. Once Nigeria gained Independence, it became an era where issues of governance and corruption (amongst many other things) in a post-Independent Nigeria were raised. I have to say though that in looking at first generation writers, I’ve found that the focus is usually very male-centric, rarely recognising the presence of female writers, playwrights or poets during that time. With that said, here's the first generation. There's quite a lot to mention but the First Generation introduced the world to plays like J.P. Clark-Bekederemo’s Song of a Goat (1961) and The Raft (1964), female playwright Zulu Sofola's The Deer and The Hunter's Pearls (1966) and Wedlock of the Gods (1972); and Wole Soyinka’s A Dance of the Forest (1960), The Interpreters (1965), Kongi’s Harvest (1965), and Madmen and Specialists (1970). Poems like J.P. Clark-Bekederemo’s Casualties (1970); Christopher Okigbo’s Labyrinths with Path of Thunder (1971); Mabel Segun’s My Father's Daughter (1965), and Wole Soyinka’s Poems from Prison (1969, republished as A Shuttle in the Crypt in 1972). 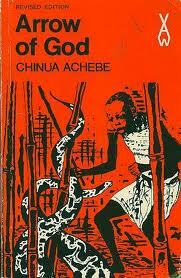 And novels like Chinua Achebe’s No Longer At Ease (1960), Arrow of God (1964) and A Man of The People (1966); T.M. 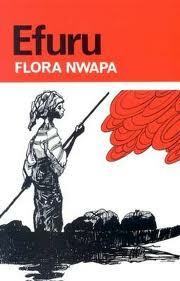 Aluko’s One Man, One Matchet (1964) and Kinsman and Foreman (1966); Cyprian Ekwensi’s Jagua Nana (1961); and female novelists like Adaora Lily Ulasi’s Many Thing You No Understand (1970) and Many Thing Begin For Change (1971); and Flora Nwapa’s Efuru (1966) and Idu (1970). 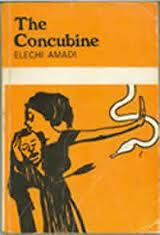 This period also saw the emergence of Heinemann's AWS (1962), which in addition to some of the works already mentioned also gave us Elechi Amadi’s The Concubine (1966) and The Great Pond (1969); Cyprian Ekwensi’s Burning Grass (1962) and Lokotown and other stories (1966); Gabriel Okara’s The Voice (1970), and J. P Clark-Bekederomo's America, Their America (1970). 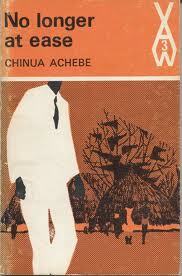 I realise that in choosing to look at literature starting from 1960, I am keeping out works like Amos Tutuola’s Palmwine Drinkard (1952), Cyprian Ekwensi’s People of the City (1954), Chinua Achebe’s Things Fall Apart (1958), T.M. 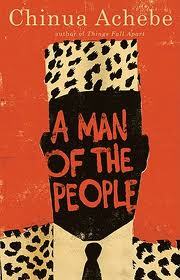 Aluko’s One Man One Wife (1959), and Wole Soyinka’s The Lion and the Jewel (1959). But in general, the First Generation writers showed the world as Chinua Achebe once said that .... "Africa had a history, a religion, a civilisation".